(formerly DAT-Delta Air Transport) (SN/DAT) (Brussels) 2002 - 2007 (merged with Virgin Express to form Brussels Airlines). Photos. Framable Color Prints and Posters. Digital Sharp Images. Aviation Gifts. Slide Shows. 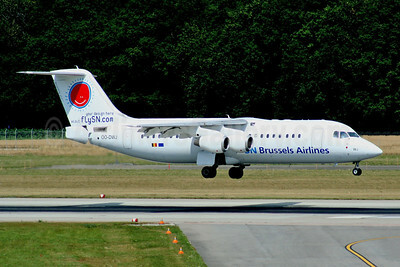 SN Brussels Airlines Avro (BAe) RJ100 OO-DWC (msn E3322) (SN on tail) BLQ (Marco Finelli). Image: 945125. 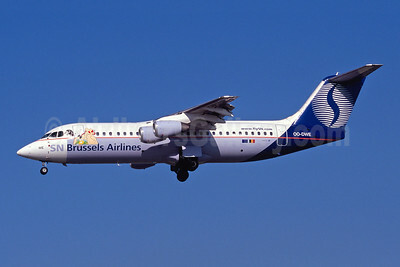 SN Brussels Airlines Avro (BAe) RJ100 OO-DWE (msn E3327) (Obelix) BRU (Giovanni Verbeeck - Bruce Drum Collection). Image: 945122. 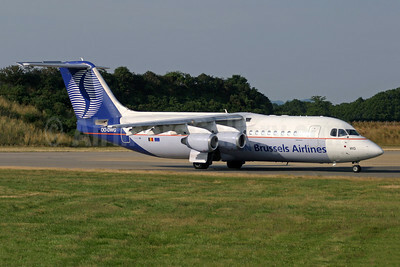 SN Brussels Airlines Avro (BAe) RJ100 OO-DWG (msn E3336) LGW (Antony J. Best). Image: 945123. 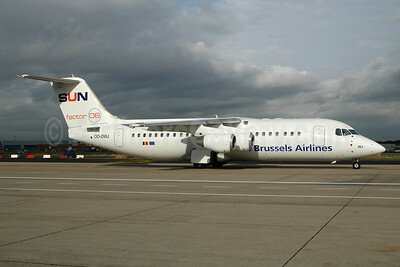 SN Brussels Airlines Avro (BAe) RJ100 OO-DWJ (msn E3355) (SUN factor 06) AMS (Ton Jochems). Image: 945124. 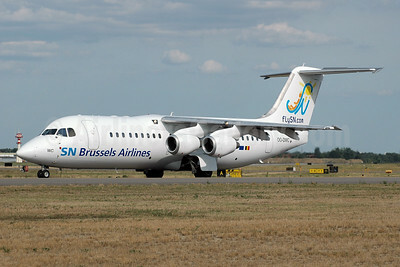 SN Brussels Airlines Avro (BAe) RJ100 OO-DWJ (msn E3355) (your design here - smiley face) GVA (Jean-Luc Altherr - Bruce Drum Collection). Image: 945126.